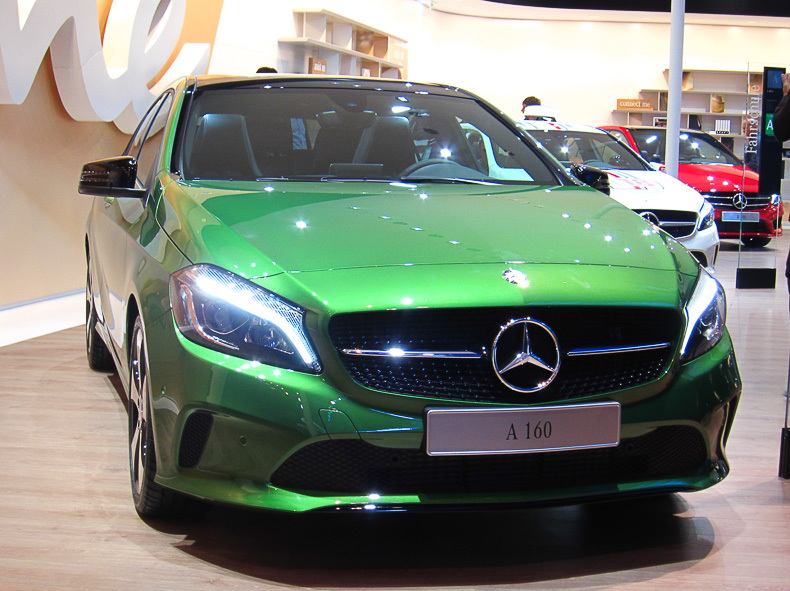 Mercedes-Benz revamped the A-Class, which features redesigned front and rear bumpers and is optionally available with LED High Performance headlamps. From the beginning of 2016 Apple CarPlay and MirrorLink will become available. The refreshed Mercedes-Benz A-Class comes with a range of no less than eight petrol engines, oddly with only two displacements: a 1.6-litre four-cylinder (A 160, A 180 , A 180 BlueEFFICIENCY Edition & A 200) and a 2.0-litre four-cylinder (A 220, A 250, A 250 Sport and A 45 AMG) engine. The A 160 with 102 hp is the new entry-level model. It consumes 5.1 l/100 km (CO2-emissions 119 g/km) when opting for the 7G-DCT dual-clutch transmission, the manual version is slightly less efficient. The diesel range consists of five engines with two displacements: the 1.5-litre Renault engine is offered in the A 160 d, A 180 d and A 180 d BlueEFFICIENCY Edition, while the 2.2-litre Mercedes engine powers the A 200 d and A 220 d. Fuel consumption of the A 180 d BlueEFFIENCY Edition has been reduced slightly to 3.5 l/100 km (CO2-emissions 89 g/km). The A 220 d now offers 177 hp (+ 7 hp). The A 250 Sport now has an additional 7 hp (218 hp) over the regular A 250. 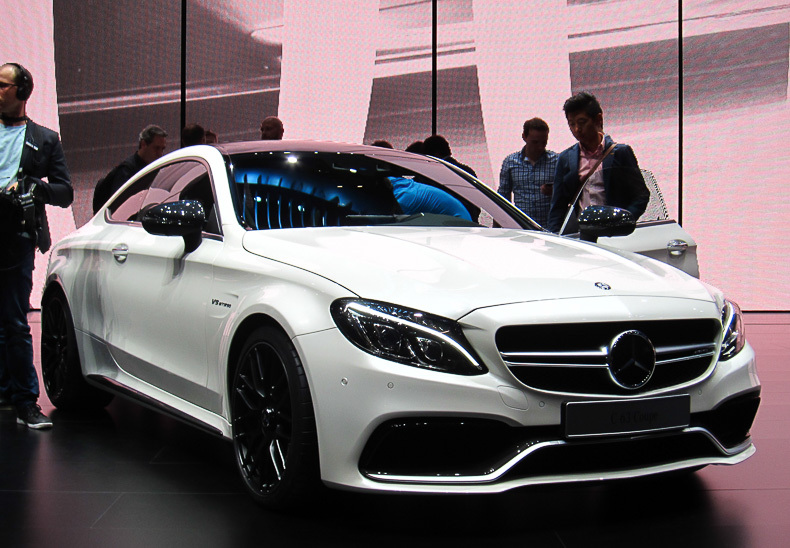 Mercedes-Benz was slightly jealous seeing the Audi RS3 dethroning the A 45 AMG (“The best or nothing”, right? ), so it has improved the performance of high-performance even further. The four-cylinder engine develops 381 hp (+ 21 hp) and a maximum torque of 475 Nm. Thanks to faster gear ratios, aerodynamic fine-tuning and the Dynamic Select driving mode it launches the A 45 AMG from 0 to 100 km/h in 4.2 seconds, 0.4 seconds than its predecessor. 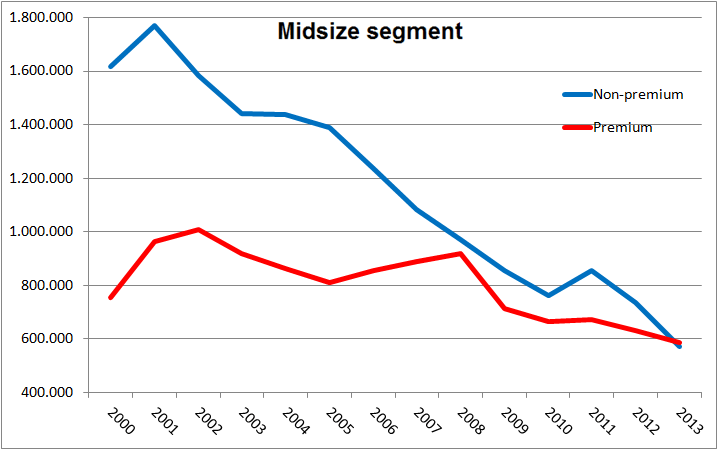 Crisis in the midsized car segment, part 1: How bad is it? The midsized car segment in Europe has been in a deep crisis for over a decade, but the bottom of the steep slope appears to be in sight. After total segment sales of premium and non-premium models had dropped from a high of over 2.7 million vehicles in 2001 to less than 1.2 million in 2013, the decline seems to have stabilized in 2014 with sales year to date down less than 0,2% on last year. The decline is not evenly shared among premium and non-premium models. In fact, non-premium models outsold their premium rivals by at least a 2-to-1 ratio until the year 2000, but especially the German Big 3 have made great inroads ever since. As a result of this strong performance, in 2013 for the first time ever, premium midsized cars outsold their non-premium rivals in Europe and they’re taking an even greater lead in 2014. BMW is the big winner of the segment, as the 3-series increased its share of the segment from 11,7% ten years ago to 19,5% this year (including the 4-series). Audi and Volkswagen shares also grew by 5 percentage points or more with their A4, A5 and Passat (including CC), followed by Volvo thanks to the success of the S60 and V60, Skoda’s Superb and Mercedes-Benz with the C-Class. Besides VW and Skoda, the only other non-premium automaker to increase its segment share is Hyundai-Kia, although the i40 and Optima remain niche players with a combined share of 2,6%, or less than 2.500 units per month.